Extreme Weather: Ignore or Prepare? Extreme weather is confined to Asia and the Americas—or is it? We've entered that all-too-familiar time of the year again—for us it's moving in to autumn, but for others, it’s hurricane and typhoon season. Typhoon Mangkhut has battered the Philippines and China, while Hurricane Florence caused havoc in North and South Carolina. These two events, on the opposite sides of the world and far from the UK, are a stark reminder of the damage that severe winds and excessive rainfall can cause. The true extent of the damage of both of these events is yet to be revealed, but they're likely to have devastating consequences for businesses and communities alike. These deadly events will keep happening, and authorities, business and communities must continue to work together and do everything they can to minimize the consequences. Extreme weather in the UK? Hurricane and typhoon season often brings up huge empathy from those of us who are based in the UK. We feel a sense of relief and appreciation that our part of the world doesn’t have to face 165 mph (265 kph) winds, or deal with 15 inches (38.1 cm) of rainfall in under 24 hours. "Some of the effects of hurricane season are not entirely detached from these weather systems." However, we do feel some of the effects of hurricane season and are not entirely detached from these weather systems. Much of the severe weather in the UK is a direct result of hurricanes formed in the Atlantic. Storm Helene that reached UK shores this week with 70 mph (112 kph) winds, was the first hurricane-related storm to reach the UK this year. Similarly, Storm Emma that hit the UK in February 2018 with 20 inches (50.8 cm) of snow, also formed over the Atlantic. In the UK, there does seem to be a general trend towards our weather becoming more extreme. We are also witnessing characteristics associated more with a continental, rather than maritime climate. Earlier this year, we experienced one of the coldest springs in decades, but then by June, we had 16 consecutive days over 28 degrees Celsius (82.4 degrees F). This is all the more extraordinary, given that the UK is an island exposed to a maritime climate with supposedly moderate and stable climactic conditions. There is no doubt that we should be thankful that we don’t experience the same extremities of weather as seen with Typhoon Mangkhut and Hurricane Florence, but we should never become complacent. Our weather is becoming more extreme, and we need to ensure that the way we build and prepare our property reflects this. 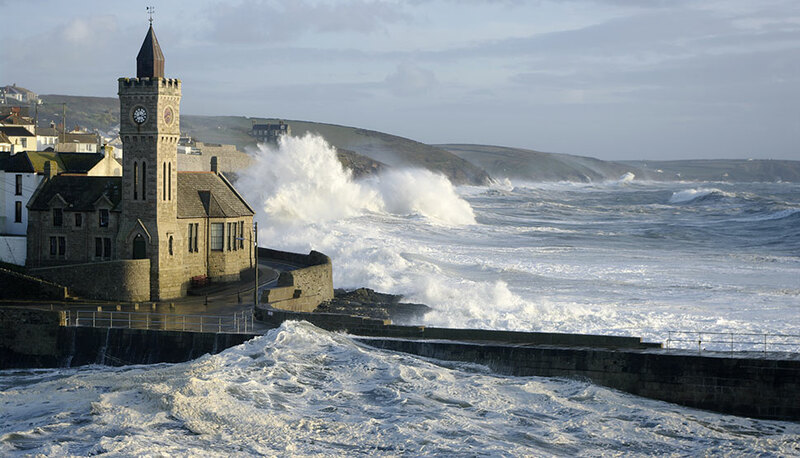 We must ensure that we build UK properties to adequately resist the impact of mother nature, whether that is windstorm, rainstorm, flooding etc. Safeguarding our property for future generations is crucial to both our society and our economy. When we turn on the television set and see weather events around the world causing widespread damage, we feel empathy, but we should also be aware that we are not immune. Extreme weather such as hurricanes and typhoons is inevitable, but damage to property doesn’t have to be – and choosing to be resilient is the best way to ensure that this is the case. For more information, see FM Global’s Windstorm resources.